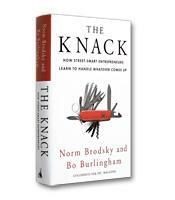 Having “the knack” will make all the difference to the success of your start up. Here, coauthors of Inc. magazines hugely successful “Street Smarts” column show small-business people how to deal with all kinds of tricky situations and prove that business acumen can be within any entrepreneur’s reach. People get so much bad advice when they first go into business that it’s a wonder that any new business survives. For instance, many people believe that you need a unique product or service. Or that you should choose a business with as little competition as possible. Enter Norm Brodsky, an entrepreneur who on three separate occasions made the Inc. 500 list of fastest-growing companies and who, along with Bo Burlingham, has been writing “Street Smarts,” the column published in Inc. since 1995, with his unique take on entrepreneurial excellence. In The Knack, Brodsky says he never wants to be first in a market and he prefers a lot of competitors. “Yes, I want to be different from them, but the more people who are making money in an industry, the better I feel about going into it,” he writes. Further, he wants a concept that has been around for a long time, so there’s no need to educate the market, and he also wants an industry that has taken its customers for granted. 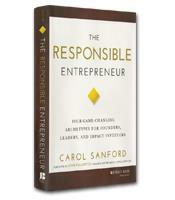 What emerges in The Knack is that entrepreneurial success is more a function of personal characteristics than it is a function of the right product or service. Brodsky and his co-author Bo Burlingham unpack those competencies in what should be a must-read for anybody considering getting into business for themselves. In fact, from a broader perspective, this seminal work should be required reading for anybody who has to interact with others. That’s because Brodsky’s introspective account shares the intimate details of his own successes and failures. “It has taken me a lifetime to learn what I knew about business,” he concedes. “A lot of lessons have come from getting whacked in the head.” Beyond his own personal trials, he shares details from the relationships with a number of entrepreneurs who turned to him for professional advice. The Knack, as unabashedly optimistic as it is common sense, allows the reader to keep difficult business issues in perspective while demystifying critical inflection points along the entrepreneurial journey including cash flow, cost of sales, negotiating, pricing and fundraising. For instance, Brodsky urges the reader to keep track of monthly sales and gross margins by hand to develop a better feel for the numbers. The Knack does not offer a formulaic approach that can be implemented to achieve goals. Rather it unveils a way of thinking that allows the reader to understand how others have dealt with many different entrepreneurial challenges. For instance, Brodsky believes the No. 1 quality successful entrepreneurs exude is resilience, the ability to bounce back from failure and to learn from mistakes. He says that people on their first business venture are almost always overoptimistic and, at the same time, they are scared to death. Both traits have to be held in check before they lead to bad decisions about how to spend limited capital. 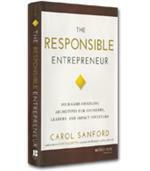 For instance, entrepreneurs must temper the urge to grow by maintaining patience and solid risk assessement. But, too, instead of fretting over problems, they should engage in the fun and excitement of finding solutions. To be sure, having that mentality doesn’t guarantee that you’ll succeed at everything you do, but it does improve your chances significantly.